div style="text-align: center;"> Welcome to Bigger Picture Moments! 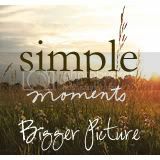 Taking time to revel in the simple moments that make up the bigger picture of our life! The link up can be found at Part I. After that New Years night our path never walked separately again. It wasn’t a whirlwind and it wasn’t always perfect it was just epically ordinary love. 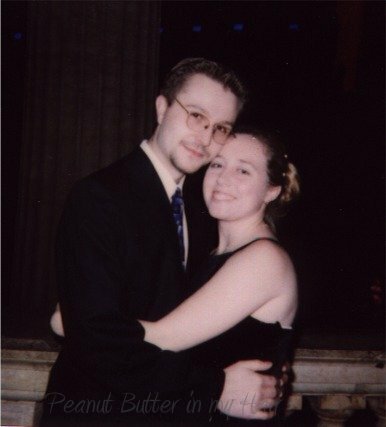 Fast forward (ever so slowly) to New Years Eve 2000. After ringing in 2000 in a completly boring way we bought tickets to see BB King at Chicago’s Union Station. It was sponsored by a local radio station, we were going to get dressed up, have drinks, listen to awesome music and it was going to be great! Except it almost didn’t happen. I had a terrible bronchitis and was literally coughing up a lung every few minutes. It was terrible. The boy repeatedly tried to get me to cancel and sell the tickets. Me being as stubborn as ever completely refused. So we got dolled up and headed downtown. I remember being hot with fever, pounding head, burning chest and going through spells of dizziness due to coughing. Romantic huh? It was almost midnight and we were in the crowd in front of the stage waiting for the countdown. I was looking around for the champagne, we were supposed to get a glass and everyone knows you can’t toast the new year without a glass. The boy was trying to be all romantic, talking about how special I was, how I have really changed his life and he is so happy that he went to that New Years Party. I think I looked at him confused, like really dude? We’re going to get deep now, minutes before the countdown? I think I even yeah, yeah, yeahed him. I don’t know I wasn’t even really paying attention. Then I almost died. Okay, that may be a bit dramatic. I start coughing, bad. The boy pulled me out of the crowd and sat me down at a bench at the far end of the station while I coughed up a lung and tried to regain composure. He wanted to take me to the emergency room and I was adament that I didn’t need it, I just needed water and time. We sat on that bench and he held me as my lungs ratted and sputtered. Once I started to feel better he stood up and started talking fast...I don’t remember a word he said because I saw him pull out a box and get down on his knee and I just kind of went all jello like. Butterflies filled my body and I just lost it in a pile of tears and kisses. 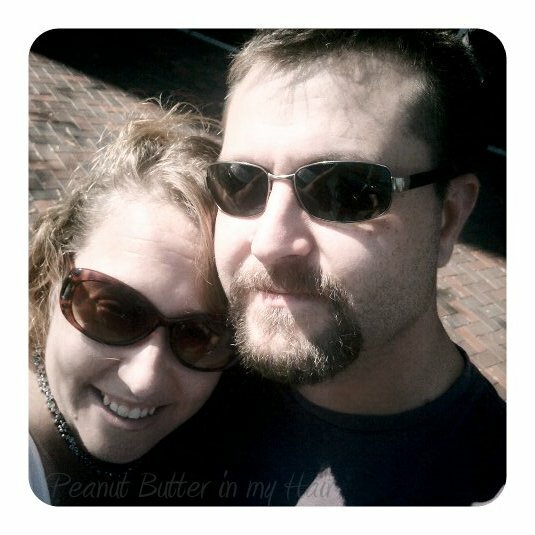 Turns out I was right, I ad meet my husband and we had passed each other by. The time wasn’t right and God knew it. He put him in my path when I was vunerable and needed someone to take care of me and he brought him back in my path when we were both ready to grow up and put someone else first. So it wasn’t love at first site. But love at Fourth site jsut doesn’t have the same ring to it does it? So glad you wrote it all out, Melissa! Awww. I'm teary - eyed. So...how many years are celebrating? Your romantic tale was so very sweet and perfect in every single way. You were sick in that photo? That is gorgeous! Hacking and wheezing...quite a test of true love! Awwww... So sweet. First or fourth, it doesn't matter as long as it's real.